As all of you are aware, Singapore turns 50 this year. There’s so much to celebrate – all the things that we’ve been through, all the things that make Singapore a unique country, and most importantly, our hopes for a better future. This year, there will be a lot of exciting events lined up to celebrate SG50. 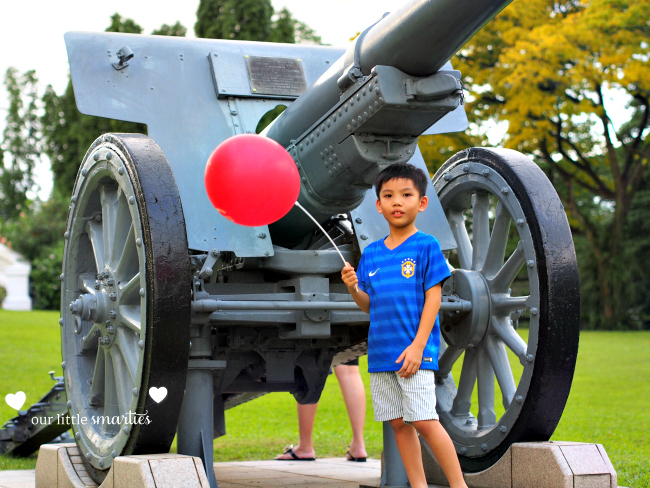 The first event that we attended was the SG50 Family Picnic at the Istana last Saturday. This event was organized by Families for Life. Formerly known as the National Family Council, Families for Life (FFL) is a non-profit organization focused on building strong families. 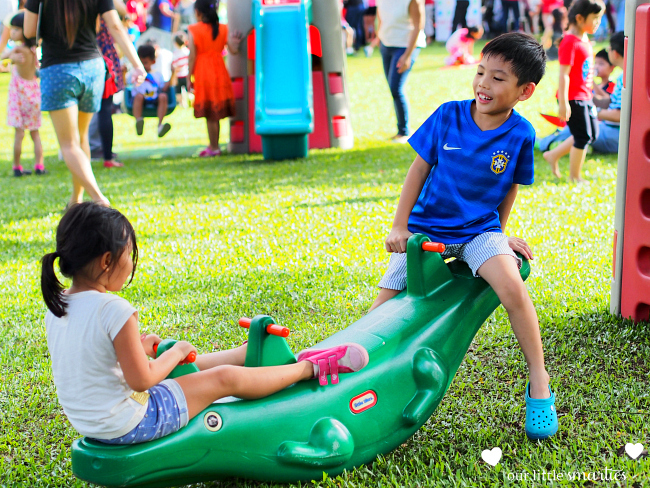 In order to help Singaporeans make time for their families, FFL has revamped its annual Families for Life Celebrations from a month-long to a year-long program which includes regular picnics held at heartland parks. In fact, the picnics already started in Oct last year. 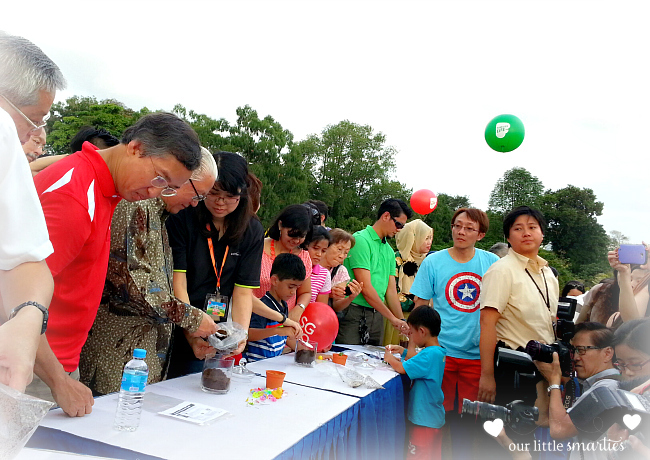 Families can also take part in sand sculpting, popiah wrapping, kite flying and outdoor movie screenings together. 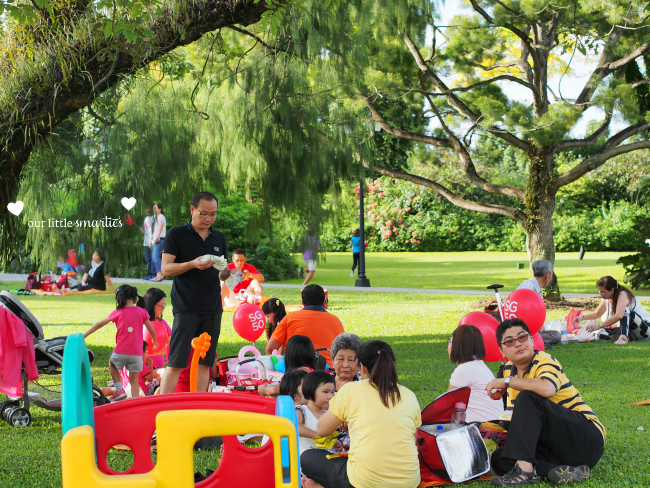 Back to the SG50 Family Picnic @ The Istana – for the first time, the Istana opened its gate for families to come together for a picnic. 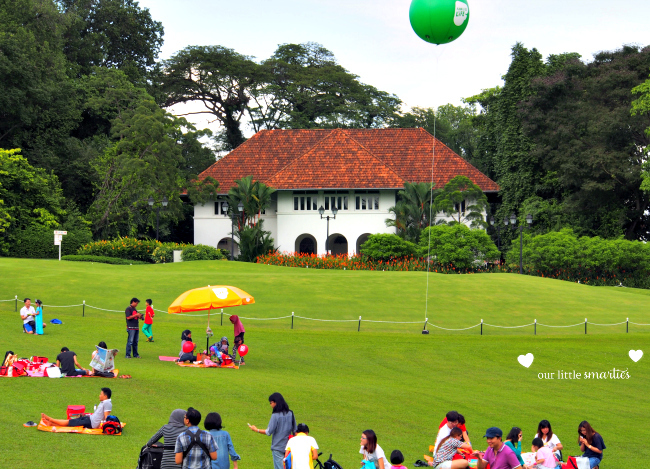 More than 2,000 Singaporeans spent their first weekend of 2015 enjoying a picnic at the beautiful Istana (are you there too?). I was completely amazed by the huge crowd! Edison is a big fan of picnic. I love picnic too, but I don’t like to risk getting attacked by red ants on the grass, or having a ball smacked on my head. 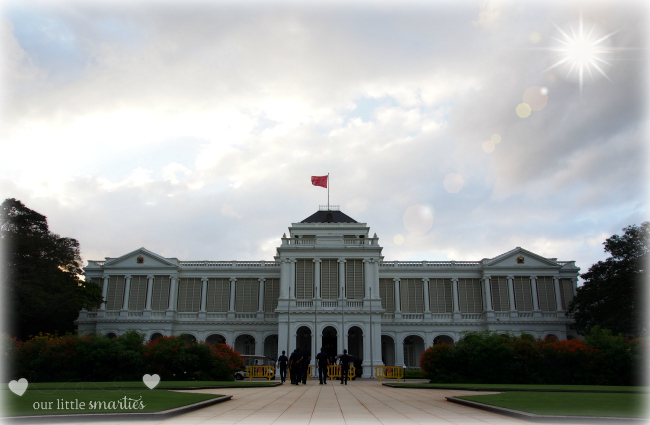 But this time, the venue was at the Istana, so for sure – it’s super safe. I was praying for good weather and thankfully, the weather was lovely! 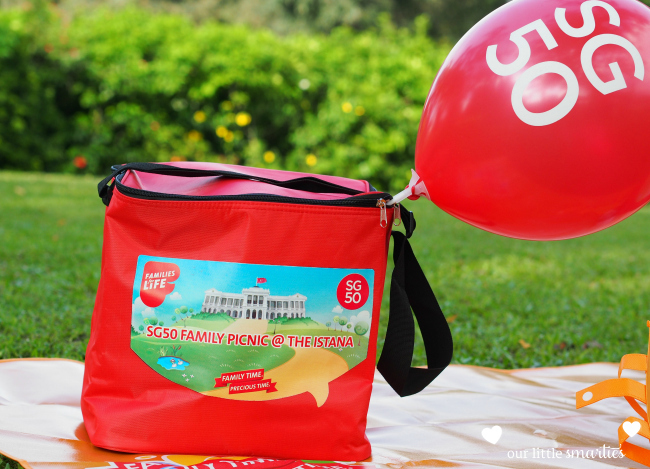 Families who have pre-registered for the event were entitled to a Families for Life – SG50 picnic bag with some useful items such as picnic mat, first aid kit, rain coats and umbrella, just to name a few. Food baskets with light snacks are sold at $10 each. All sale proceeds will go to the President’s Charity. We were too lazy to pack our picnic food, so we bought the food basket at the event for convenience. 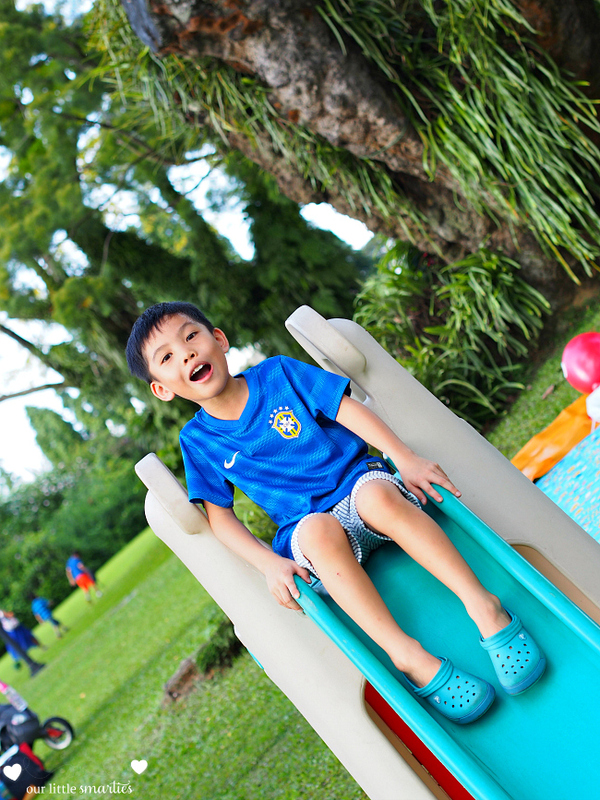 Upon arrival at the huge Japanese Garden inside the Istana, the boy was jumping with joy when he saw the bouncy castles and play equipments set-up all over the lawn. It was the size of 5 indoor playgrounds combined, as he said. The next minute, he disappeared from my sight. Then, I found myself a shady spot under the tree to lay my picnic mat, relax and soak in the sunlight. The Hubby was busy playing his paparazzi role to take pictures of the President. It was a fun-filled evening with plenty of activities for families that include terrarium making and performances from local bands. 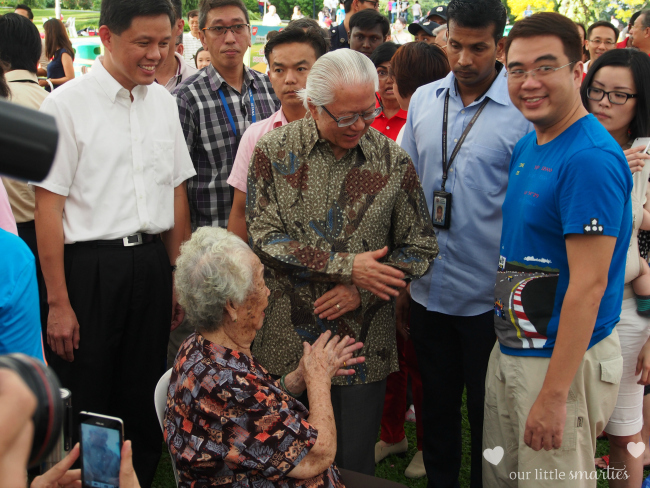 President Tony Tan also joined the families in the terrarium making. We had great fun at the event, and certainly look forward to another exciting event from Families for Life. FFL Monthly Picnic Venues and Dates: free admission, but registration is required.